An unexpected pleasure in a roadside inn. 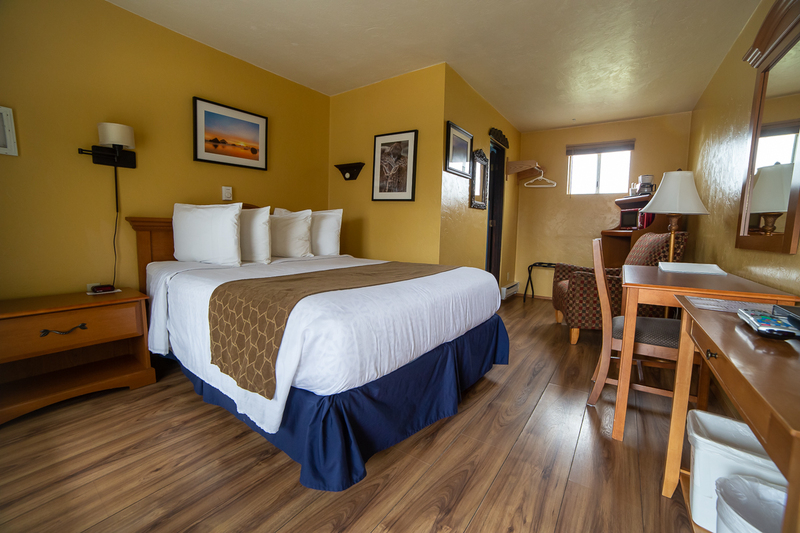 boutique style rooms at affordable rates. Searching for an affordable alternative to the high cost of ocean front? Look no more. We are Bandon’s best kept secret offering style, charm and local flavor at reasonable rates. 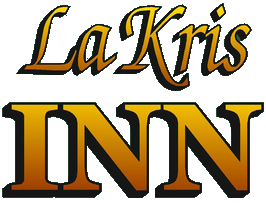 Lakris Inn is owned and operated by local professional photographers. Each room is uniquely decorated and adorned with images by the Dimocks for a gracious, fun and creative atmosphere. Work online or want to catch your favorite Netflix show? We offer unlimited high speed wireless internet. 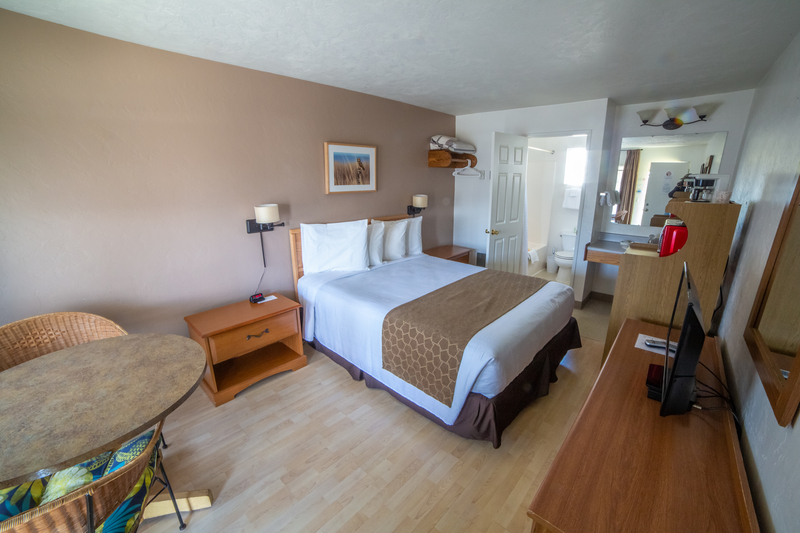 For your viewing pleasure, all rooms come equipped with flat screen televisions and HD digital cable. We know the importance of coffee, that's why each room comes equipped with a coffee maker and instant coffee. Our mini fridges will come in handy for those leftovers and snacks you can grab from the supermarket across the street. Perfect to zap those leftovers or heat up packaged burritos from the mini mart next door. This was a charming little inn located in Bandon, OR. The Inn was affordable and provided exactly what we needed. Amazing photography graced the walls of our rooms, taken by the owners. Would definitely recommend this a great place to stay! My golf buddies and I happened to find this place. We were all impressed with the rooms and front desk. No complaints and we will be returning again on our way to Bandon Dunes golf resort. Thanks for a great, clean reasonable place to stay. We stayed here on out honeymoon road trip after a long day driving. We arrived late into Bandon and found this place, we were very lucky. It was good value motel with all the amenities needed. It was comfortable and felt safe. It was just what we needed. 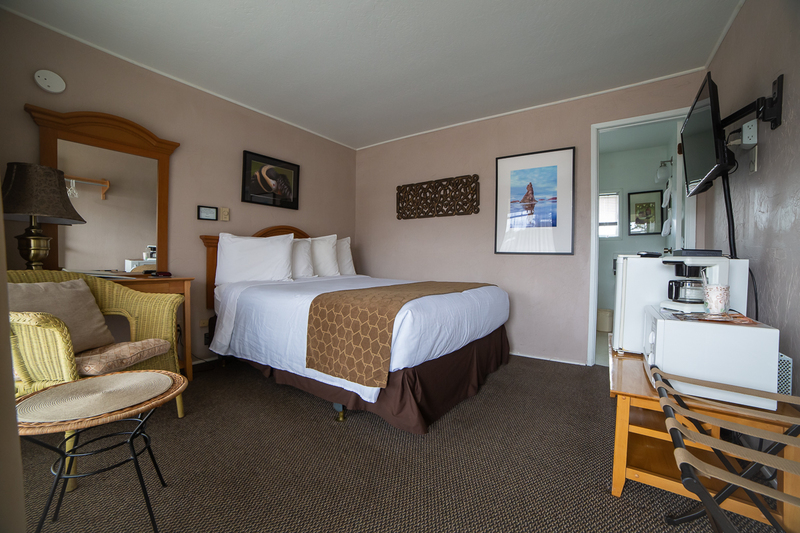 Upon entering the boutique inn’s little office you are transported to the unexpected visual experience of professional local photography. The Oregon Coast is touted as one of the “Seven Natural Wonders” of Oregon. Bandon is arguably one of its most valuable gems. The iconic sea stacks, the quality shopping and dining experiences of Old Town, the “Creamery” cheese factory and so much more are quickly making Bandon the destination of choice for those visiting Oregon’s famous coastal region. We've selected a few destinations to get you started. Walk the beautiful beaches of Bandon and see what you'll find! You haven't experienced Bandon until you've seen the sea stacks. 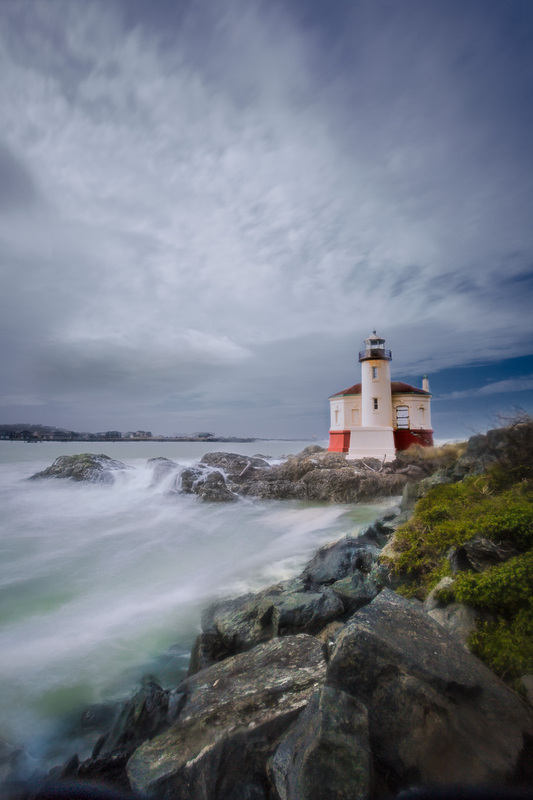 A cool old light house, surrounded by breathtaking ocean landscape. 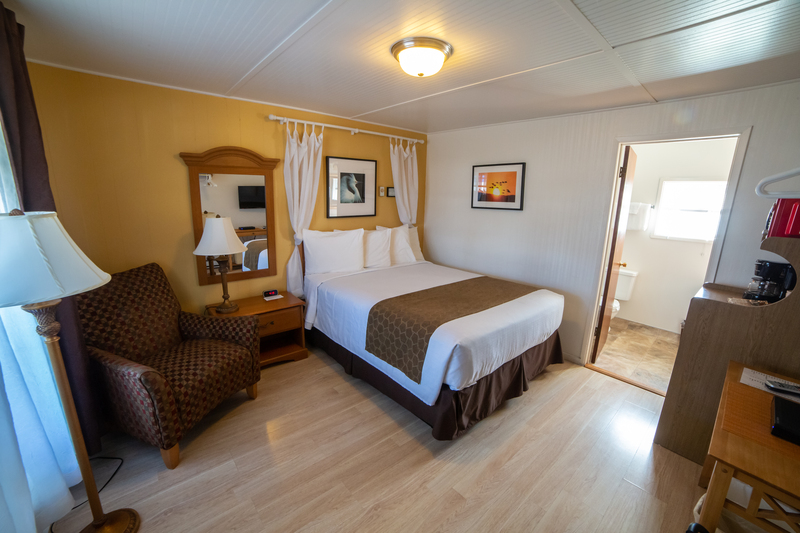 BOOK A ROOM AND START YOUR ADVENTURE! 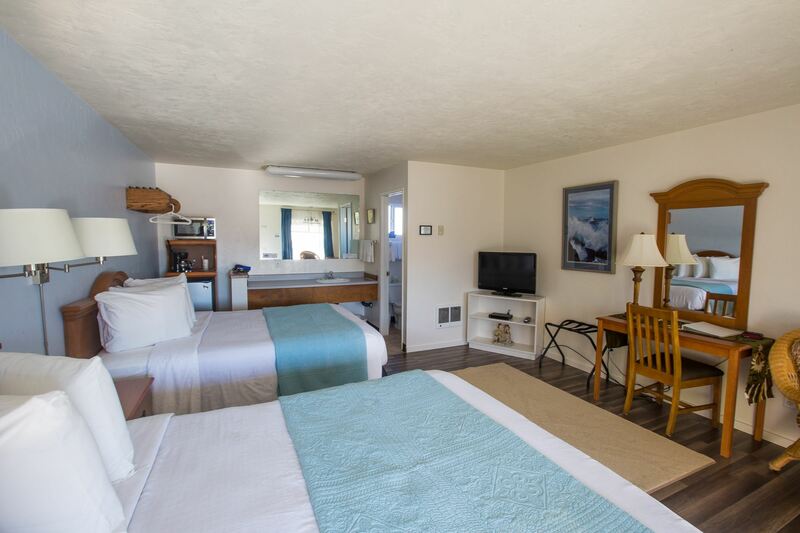 We're an affordable alternative to the high cost of ocean front. Receive our latest room specials and updates straight to your inbox.